Welcome Home Series handlesets are the perfect addition to your front door to create a unique and fashionable entryway to your home. Each is stylishly designed to provide maximum-security protection. There are many styles, finishes and configurations from which to choose. Exquisite design combined with a distinctive profile, the Troy knob executes strength and beauty This half-dummy, or trim function, is surface mounted on doors where only a pull is required. The crisp, clean appearance of the Satin Nickel finish adds to the overall look of the product and brings a modern feel. 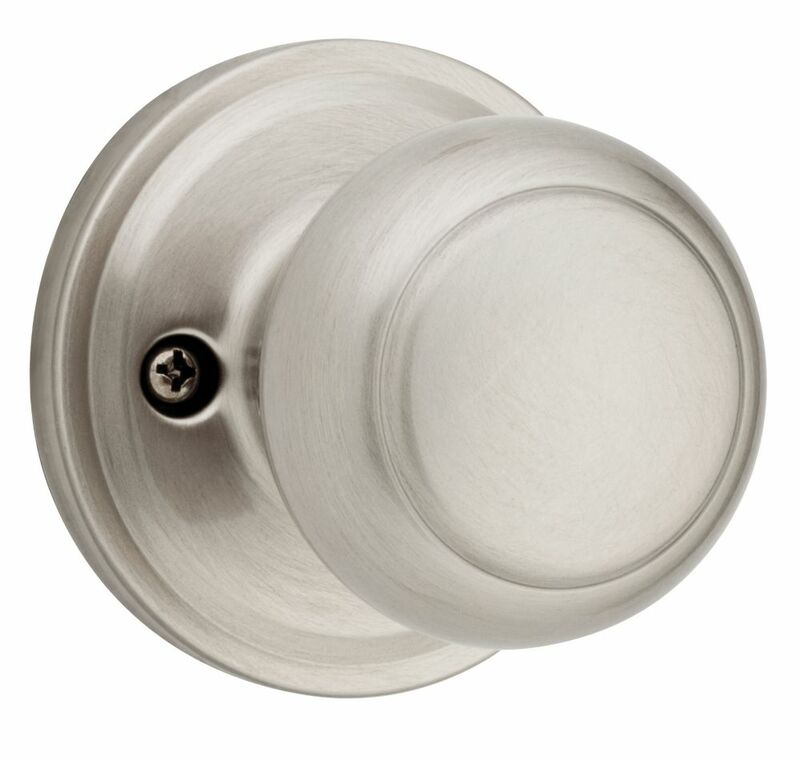 Troy Dummy Knob in Satin Nickel Welcome Home Series handlesets are the perfect addition to your front door to create a unique and fashionable entryway to your home. Each is stylishly designed to provide maximum-security protection. There are many styles, finishes and configurations from which to choose. Exquisite design combined with a distinctive profile, the Troy knob executes strength and beauty This half-dummy, or trim function, is surface mounted on doors where only a pull is required. The crisp, clean appearance of the Satin Nickel finish adds to the overall look of the product and brings a modern feel.